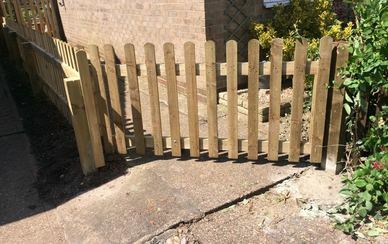 Handmade, high quality bespoke wooden gates, made to measure. 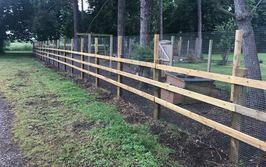 We build, design and manufacture our own high quality bespoke gates, whether you need a simple side gate entrance gate through to a driveway or field entrance gate. 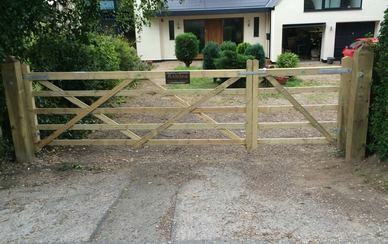 Trust us to deliver the perfect gate solution for your needs. 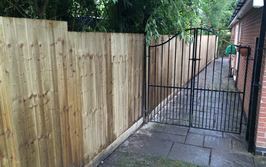 All of our gates use pressure treated, tanalised wood to ensure a long life and our gates come with fully galvanised fittings. 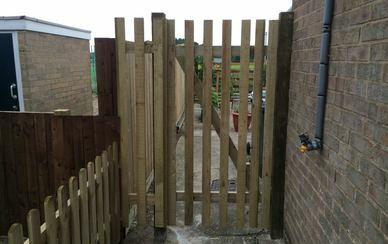 We provide assessment and full installation to make sure that the gates fit perfectly. 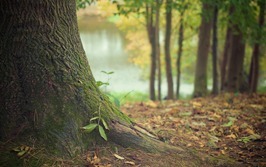 Wood as a natural material can expand and shrink in extremes of weather. 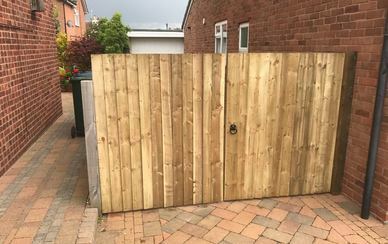 The way our wooden gates are designed and built allows for movement in the structure of gate as the wood breathes, reducing chances of twisting or warping, ensuring the opening and closing of the gate remains smooth.  The frame is just as important as the gate as it provides stability to the structure and this is taken into account when we assess your needs. 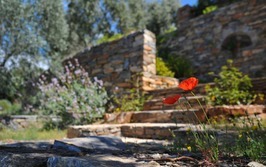 With just a small amount of maintenance, a properly designed and installed gate will last for years. 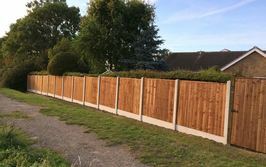 We build wooden gates to suit budgets of all sizes and ensure that they all come at a quality that guarantees longevity. 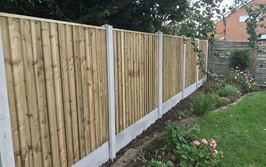 To arrange your site visit or discuss the type of gate you need please call us or simply complete the form below and we will aim to call you back same day.